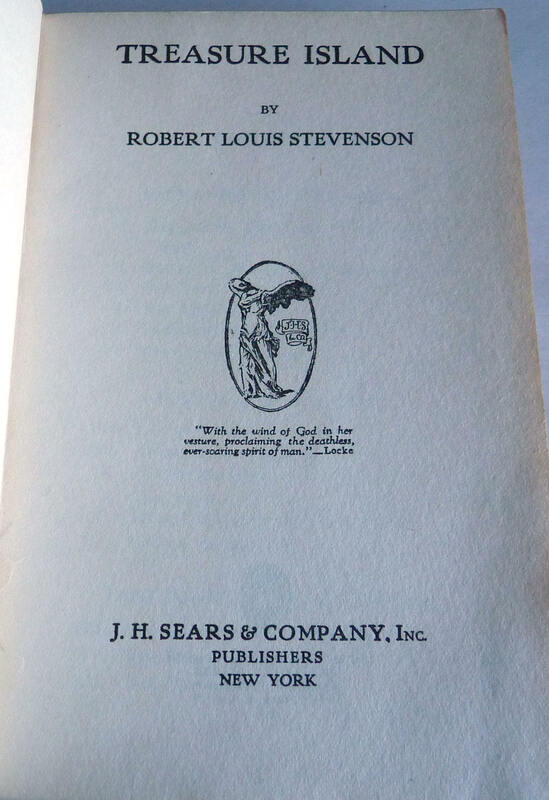 Description: An attractive set of 7 books by Robert Louis Stevenson published by J.H. Sears ca. early 1900s. 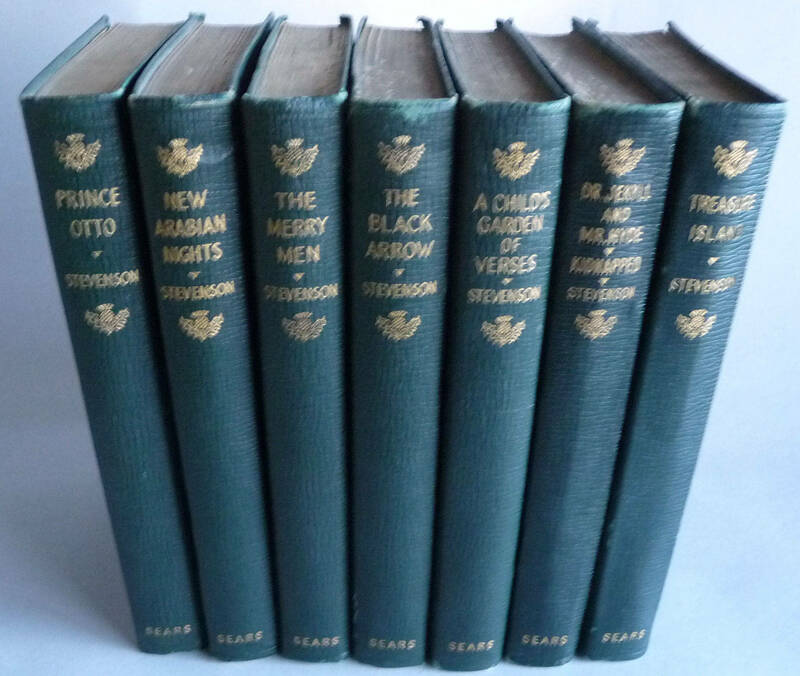 The books are all in the G+ to VG condition range. 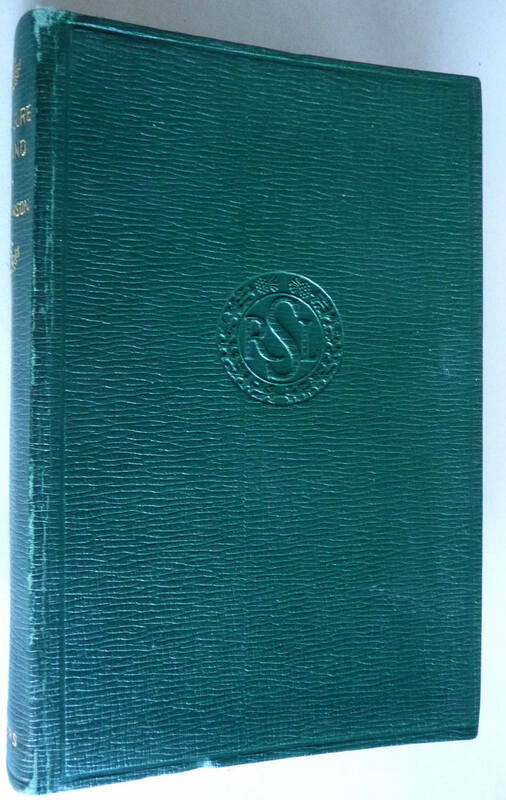 All books bound in dark green leatherette with gold gilt title on the spine and gold gilt top edges. All the books are lightly worn at the head and tail of spine as well as fore edge corners. Treasure Island has slight curl to top board. A Child's Garden of Verses has a bumped lower front fore edge. Gold gilt top edge is chipping on 4 of them; 2 are more heavily chipped. New Arabian Nights is lightly bumped at head of spine. Condition: Good+ to Very Good. Size: Books are each 4.5 x 7 inches (12mo).